iDesign is engaged in full CAD engineering and project management of interior signage and lighting systems within all Priceline stores in the ongoing upgrade to current and all future stores over a 5 year period. The solution used direct printed Pixalux® structural light panels to highlight categories instore, and illuminate panels around the store entrance. 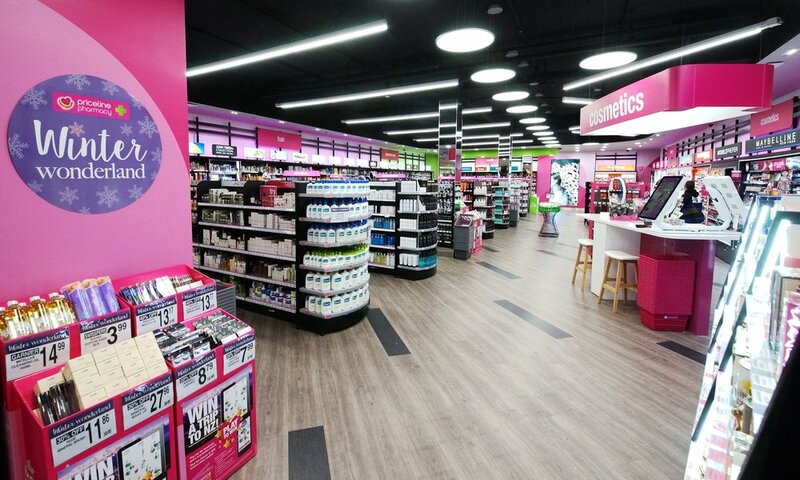 iDesign supplied and installed all signage and the magenta and green coloured lighting projected onto the rear walls behind wall shelving to help enhance atmosphere and mood within the store environment.